Running shoes can make or break your daily run. A bad pair of running shoes can make the experience hard to enjoy. Your feet will feel blistered, burning, and it could take a few days before you are able to walk on the feet without a lot of pain. When you are feeling this way, it is almost impossible to convince yourself to get back out there and try it all again. But, when you find the perfect pair of running shoes, the ones that hug your feet, feel like clouds of comfort, and add in the right amount of support that you need for your flat feet issues, you are more likely to keep going. Running becomes more of an enjoyable activity, and you are able to take the shoes off and avoid all the pain without having to worry about how it is going to hurt later on. When you are dealing with the issues that come with flat feet, it is important to find the perfect pair of running shoes to ensure that you aren’t adding in more pain that you already feel. 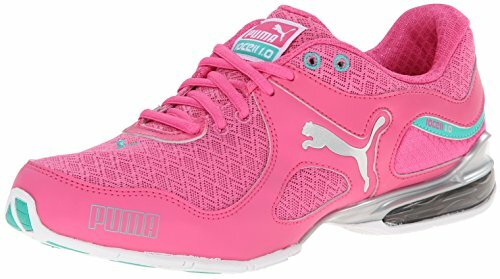 The following running shoes are perfect for helping you to run through long distances while also providing all the comfort and support that your feet need to keep on running for a long time to come. So try on a few pairs, lace up the shoes, and get out there and run with enjoyment while having fun again! 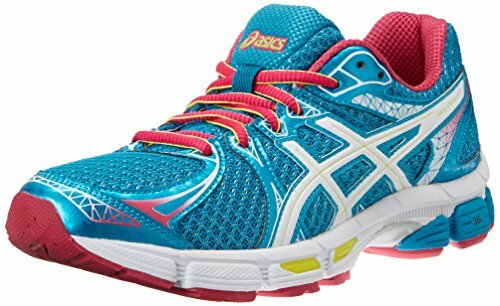 ASICS is a great brand to go with when you want a fantastic running shoe that can last for a long time. 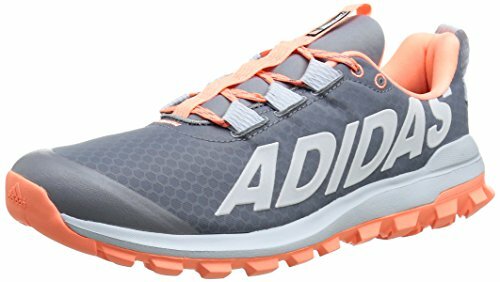 This particular running shoe is made of synthetic material and includes an impact guidance system that will help to enhance the natural gait of the foot from the heel to toe off strike while running. You will also like the fluid ride that that allows you a combination of cushioning and bounce back that you need in order to add to the durability and the reduced weight that come with the shoe. The fluid fit upper technology adds together stretch and the mesh so that the shoe will adapt to your particular foot, making sure it fits like a glove and will stay in place when you are running. The heel clutching system helps you to get a bit more support so you won’t have to worry about this running shoe ruining your flat foot issues. While these shoes may come in at a bit more expensive than some of the other options on the market, they are comfortable, add in a bit of foot support, and come in many different styles and colors that you will love. 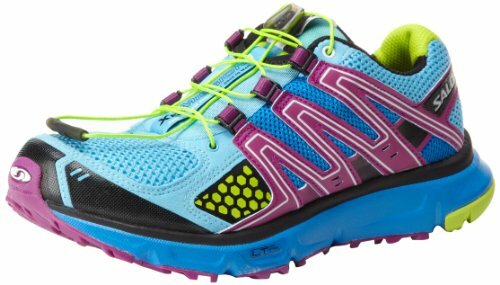 Coming in at a lower price point that you are sure to love while on a budget, this option from Salomon still offers a lot to love for the avid runner and lots of cool colors and styles to choose from. The synthetic material combines with some mesh to provide a lot of great breathability in the shoe so your feet don’t sweat too much and the rubber sole provides just the right amount of traction that you are looking for. You should take some time to try on a pair of these shoes before purchasing; each style has a different insole and you will want to make sure that you find the perfect one for your feet. New Balance is a good choice to go with when you want all the features of the big brands for a friendlier price tag. 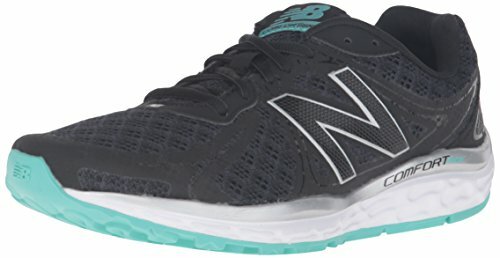 These shoes feature a no sew breathable mesh that help to keep the feet comfortable while you are running and a midsole that is flexible with plenty of cushioning. You will also enjoy the heel insert that is going to mold right in with your feet, giving you all that added support that you need. Even if the insole is not quite right for your flat feet, you will be able to take it right out and put in your own personal insert or orthotic to ensure that you are getting the proper support so you can wear the shoes all day. 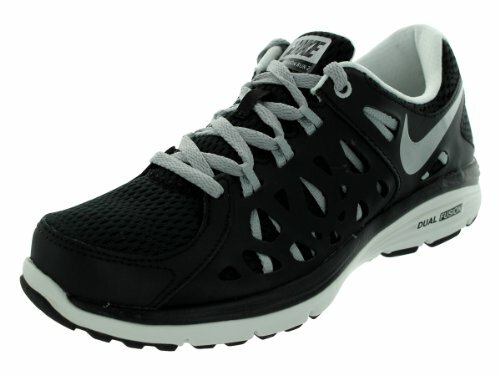 Add in several great options in colors and style, and this budget friendly running shoe will get you moving in no time. If you want a shoe that has a lot of great options, this is the one for you. First you will notice the extended caterpillar crash pad that will allow you to come in full contact with the ground and still get the heel to toe transition that is much nicer on your feet. The saddle design is adjustable so you can target the support right where you want it and the element linings are meant to let your feet breathe while wicking away any moisture that builds up while running. The HPR Plus will add in some extra durability into the areas that are considered higher wear so you know this shoe is not going to die out too quickly on you. Add in the omega flex grooves to allow a natural movement of the foot and you have all the support and comfort that you need while running. While this shoe is a bit expensive based on the style choice you make, there is a lot to love and you are sure to keep coming back for this particular brand. This shoe is the one to pick if you really want a fun looking running shoe. Part of the motivation behind getting up and moving is to find a shoe that really looks good, and all the color options with this one are going to help you do just that. You will also enjoy some of the features including the impact guidance system, the dynamic duomax support system, the laces that are easy to deal with and the mesh that allows your feet to breathe while moving. If this shoe doesn’t add in enough support for your flat feet, it is easy to take out the insole and add in your own personal one to make sure that you have the right support to keep on moving for a long time. For those who need a shoe that has a lot of padding in order to keep their feet comfortable during running, these are the ones for you. In fact, many customers say that there is so much padding that if you plan to wear socks, it is best to go up another half size to make sure that they fit. The material is high quality but the price is low so you will be able to get started with running without breaking the bank. These shoes will provide support in all the right places to ensure that you are comfortable and with the shock absorption, you are sure to get in a good run in no time. If you are a fan of the ASICS brand, this is a great shoe to go with. The synthetic and mesh material is perfect for providing the support that your feet need while still letting them breath. The lace up will add some more support as you can monitor how tight or lose works for you and the padded collar and other cushioning provides an experience that is like no other. For those who are suffering from flat feet, you will love the GEL cushioning that comes with the back of the foot and is able to absorb some of the shock that can hurt the joints during running. An added feature in this particular shoe is the spEVA midsole that provides the maximum amount of energy return that you can find in a shoe like this one. While you are going to need to add in your own personal orthotic in order to get a bit more arch support in some cases for your flat foot, this is a great option to go with. 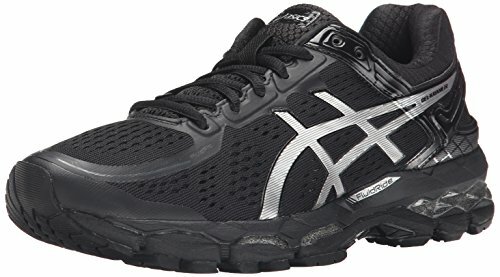 You will find that it is very budget friendly compared to others on the ASICS brand but it still provides a lot of great features that will help keep your flat foot, and joints, happy while giving you the best running experience possible. Mizuno is a great running shoe brand that you can trust to provide you with a great running experience no matter how badly you are suffering from flat feet. The synthetic and mesh material will ensure that your feet are getting the optimal amount of comfort that you are looking for and all the material is considered vegan so you know you are getting something that is high quality but which is also good for the environment. The heel is almost two inches and the platform is almost an inch so you are going to see a bit of a heel on this shoe; this is meant to provide you with a bit more of the support that you need. The price will vary depending on the style and color that you get, but you may find that adding in your own orthotic will ensure that you are getting the optimal support that the foot needs during running as well as some additional arch support in the process. When it comes to a good pair of running shoes, you just can’t go wrong with Adidas. 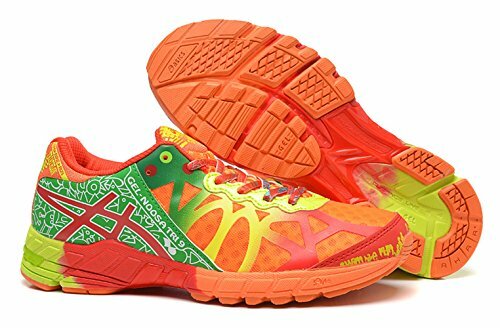 These running shoes are made of a combination of synthetic and textile material so you are getting the best product possible and they are meant to work together to provide you with a bit more durability so the shoe will last a bit longer. The comfortable textile lining ensures that you are able to run for long distances without having to worry about the shoe rubbing against the heel or other parts of your feet and making them uncomfortable. The TRAXION material on the outside ensures that you are getting the best grip no matter which way you run and there are many colors and styles for you to choose from. Some customers complained that they were not able to take out the insert that comes with this shoe. While it does provide some support for those with flat feet, if you need to wear a particular orthotic for your feet issues, you may find that it is difficult to get your own into this shoe. If you need to wear special inserts, it may be best to go with a different kind of shoe. If you are looking for a good running shoe that will work on your budget, has a high class name, and offers you a lot of styles to choose from, this option from Nike is just what you’ve been looking for. The leather and mesh combination will help to provide you with high quality exterior on your shoe while still letting the air come through. The rubber pods on the outsole are there to make sure that wear and tear is kept down to a minimum while you are wearing the shoe. While this particular shoe does not provide all the support that a flat foot would need, you can easily take out the insole and put your own orthotic in to get everything your feet need. For those runners with wider feet, you will need to order a bigger size. Also watch out for the style that you are choosing. While all of them are great and have the high quality that you are looking for in shoes, some of them will be a little more expensive than others. If you are looking at a particular style, check out the price with it to ensure you are getting one that fits with your budget and expectations. 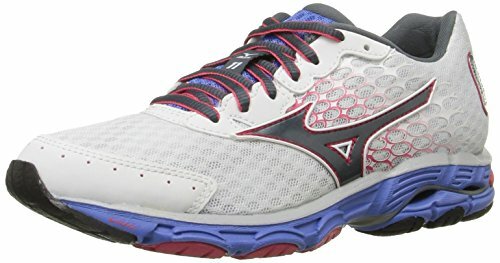 These are the perfect running shoes if you have been doing this for a long time and want a shoe that is able to support all that you do. These are made out of synthetic material that is really breathable so you can go on a long run without all the discomfort. You will love all the style and color choices and one of the hardest decisions that comes with these shoes is picking the one that is just right for you. 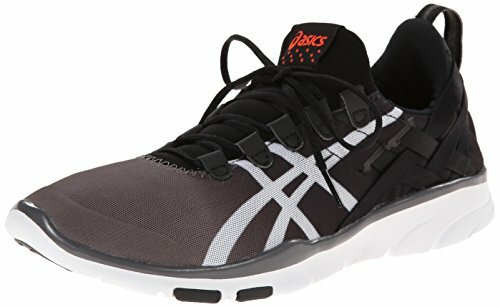 These running shoes lace up and have the guidance line technology that you have come to know and love with ASICS and which is great for increasing the efficiency of your stride. In addition, the forefoot and the back foot will get to enjoy the patented GEL cushioning in the shoe and the DuoMax technology will add all the support and stability that you are looking for. If for some reason this is not enough comfort for your foot, you can always add in your own personal orthotic and still get a lot of the great benefits that others will while wearing this running shoe. 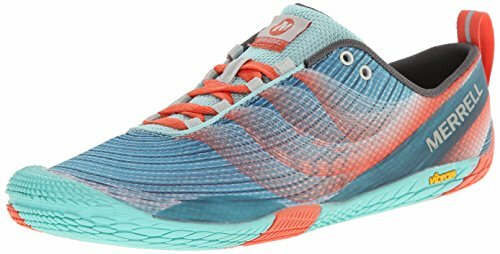 This running shoe is a great option if you want to try something different or if you’re just not finding what you would like. This is a barefoot style so it is often seen as easier on the foot when you are running long distances, but it still provides a lot of the support that your foot needs to ensure that it doesn’t get hurt along the way. The sole is rubber and the rest of the fabric is synthetic. The mesh and TPU allows you to enjoy a soft foot bed while running as well as some breathable mesh. There is very little cushioning in these shoes, which can be an issue with some people, but keep in mind that these shoes are supposed to give you similar benefits to going out and running barefoot. They are easy to wash and are great for your budget point. When you are ready to get out there and really make an impact with how well you can run, this cross trainer from ASICS is the one to go with. It has a low profile midsole, extra cushioning in the back, breathable mesh that helps to keep your foot comfortable, and you will really like the MONO-SOCK fit system that is stretchable and sure to provide all the support and fit that your foot really needs. In addition, these shoes are really lightweight so you will be able to go over long distances without feeling the pain or fatigue of carrying around a really heavy shoe. There are a lot of great options to choose from with this shoe. 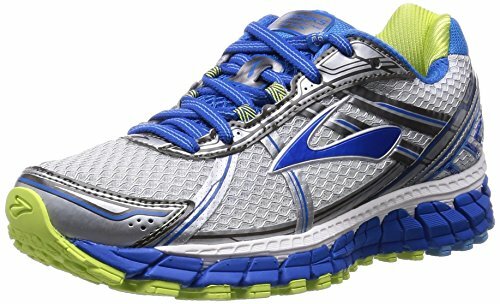 The price point is a bit higher than some of the other running shoes on the market, but for all the great features that you are getting and the added durability, this is a great one to choose. Nike is a brand that you can trust whether it comes to running shoes or any of their other products. This particular running shoe has all the quality and features that you are used to with the Nike brand, but the price is more budget friendly, making it easier for everyone to get the style that they would like. The lightweight mesh in the shoe is great for providing a bit more breathable comfort into the shoes and with the midsole and laces combined, you are going to get all the comfort that you are looking for in these shoes. The midfoot webbing system is going to add in some extra support as well, although the arch support is lacking in some cases if your flat foot is severe. Overall, this is a great shoe to go with to get all the support that you are looking for when you start running. 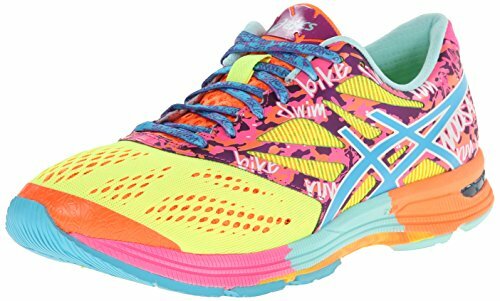 ASICS is a great option when it comes to women’s running shoes, and this is another one that proves they are the leaders. You will love the rubber sole that provides all the traction that you need to keep on moving and the neutral trainer with some open mesh ensures that you get breathability as well as support all in one shoe. You will like the reflectivity on this shoe, not just because it makes the outside of the shoe look a bit better, but because it makes sure that others are able to see you even in low light. The sockliner is removable so you can add in your own insert or get a bit more support and the GEL cushioning system in the back of the shoe ensures that your foot is going to feel good even if you go running for the whole day. With all these great features, you are also going to love the budget friendly price and will be ready to get up and start running in no time. Arch Support—the arch support is really important when it comes to keeping your feet comfortable while running. This will put the foot in a more natural alignment so you can run hard without aggravating the flat foot. Look for a shoe that has a comfortable arch or one that you can take the insert out of and put your own orthotic inside for the best comfort. Extra cushion—the right kind of cushioning inside the shoe can make all the difference. Consider getting some that will provide some gel cushioning around the heel and the front of the foot. Many running shoes have specialized cushioning that will block out some of the shock you create while running. A bit of extra support around the ankles can provide some more comfort and less rubbing when you really get going. Durable in high use areas—some cheaper running shoes will start to show their wear and tear much earlier than you may like. The soles can really take a beating if you’re not careful. Find a pair of shoes that will keep going for a long time, some provide warranty on these high traffic areas, so you won’t have to go looking for a new pair in a few months. Breathability—breathability is more important than many runners realize. This helps your foot to not get hot and sweaty inside the shoe and will make the whole running experience so much better. The mesh material is important for this as it allows air to go in and out of the shoe without changing the durability of the whole shoe. Style choices—you want to look good when you’re running, so make sure to pick out a running shoe that is in the style that you like. Many brands are expanding their styles to come in many different shapes, colors, and adding in some wonderful features so you are sure to find the perfect running shoe for your flat foot without a ton of work. Price—take some time to look at the price. The cheapest shoes are often the ones that will fall apart really easily, but that doesn’t mean there aren’t a ton of good running shoes that can fit into a budget. The next time you go out to find the perfect pair of running shoes, keep some of these tips in mind. They will help you to know just what to look for and you can leave the store with confidence knowing you picked the perfect pair of shoes that will help you run faster, will provide support to the feet, and help you to have healthy and happy feet when everything is all done. When you are ready to get started on finding the perfect running shoe for all your needs, make sure to look for some of these important factors. There are many great shoes on the market, but if you pick the wrong one, you will find that running is completely unenjoyable and you will give up in no time. Since many people already think that running is hard enough, take the time to find a good pair of running shoes and avoid any issues that may make you stop doing this great activity. A good pair of running shoes can make all the difference in how much running you do and whether you keep up with the activity. If your feet are causing you a lot of pain after just a few uses, it is hard to convince yourself to get back up and go through all the pain again. This becomes even more important when you are dealing with the added pain of flat feet. But if you keep some of the features as well as some of the shoes listed in this article in mind when you go shopping for a new pair of running shoes, you are sure to find the perfect pair that will get you out in the fresh air and moving as much as you can again.